Sherlock Holmes inspired lots of fictional characters since Sir Arthur Conan Doyle published his adventures. In this writing I would like to compare him with a modern day detective, Robert Goren, whose character had been affected by Inspector Maigret and Philip Marlowe as well. Police procedural television drama Law & Order: Criminal Intent ran on NBC between 2001 and 2011. Its main characters are detectives of the New York Police Department’s Major Case Squad, Robert (Bobby) Goren (played genuinely by the fantastic Vincent D’Onofrio) and Alexandra (Alex) Eames (Kathryn Erbe is outstanding as well). The series had ten seasons. During Season 5, 6, 7 and 8 the Goren-Eames duo shared their screen time with another pair of detectives. Then D’Onofrio and Erbe left the show, but both returned to reprise their roles in the final, tenth season, which consisted of only eight episodes. Each episode has similar build-up: we see the crime, but not the person who commits it (unlike, for example Columbo), so we can investigate together with the police. Bobby Goren is a detective investigator, whose character shows lots of resemblances with his renowned predecessor’s, but there are also differences between the two figures. As Holmes had his colleague and friend, Watson, Goren has a faithful companion too – his partner, Alex. Many think she is rather a sidekick because the focus is on Bobby’s genius, but my opinion is that they are equal. They respect and fully trust each other. Maybe Alex talks less, but she is an excellent, clever detective, who prevails in a man-dominated, tough profession. She is a master of making funny remarks. Goren lives alone – Sherlock had been a loner too, before he met Watson. Another common thing in them that they are workaholics. Just like the sleuth of the Victorian era, Bobby has an enormously widespread knowledge and he uses every opportunity to learn new things. He spares lots of time to study everything about the things which are in connection with his actual case. He is excellent in observation, he notices small details that others overlook (for example, he smells lavender on a corpse found in the sea, this way proving that the woman had been killed in a bathtub.) Therefore many people find him annoying and they cannot follow his deductions. His colleagues think he is a freak, and they do not seek his company. He does not like rich people and those who override their commissions. He often voices his displeasure, what causes discomfort for his superiors. Both Holmes and Bobby are very sympathetic, and for the latter it is especially easy to make contact with children. He is ready to criticize himself and to admit when he fails or when he is on the wrong track. Goren also has a significant person in his life who can be called his arch-enemy – she is Nicole Wallace, who killed several people. The detective thinks it is his mission to catch her – as Sherlock was ready to sacrifice his own life just to get rid of Professor Moriarty and his gang. Bobby respects Nicole for her cleverness, but at the same time he hates her for the awful things she did. So we can even say that Nicole is his Irene Adler. The Baker Street Irregulars help Holmes in his investigations. The New York detective also has friends and acquaintances whom he can turn to. While Mycroft is the only relative of Holmes who appears in the novels and Sherlock once mentions his grandmother, we learn more and more about Goren’s family as time passes. He had a tough childhood, his mother had schizophreny, his stepfather left them when Bobby was eleven, and his brother was a gambler. Sherlock stimulates his brain with cocaine when he has no case to work on. Goren’s only passion is his profession. I recommend Law & Order: Criminal Intent to those who like police dramas, investigation and psychology. You can learn many interesting things from the series. 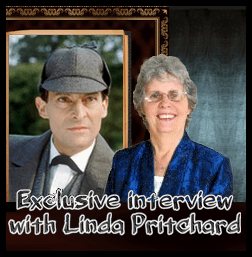 We plan to compare the greatest detective with other famous fictional sleuths as well.